There is something really special that happens when great design meets awesome sites. 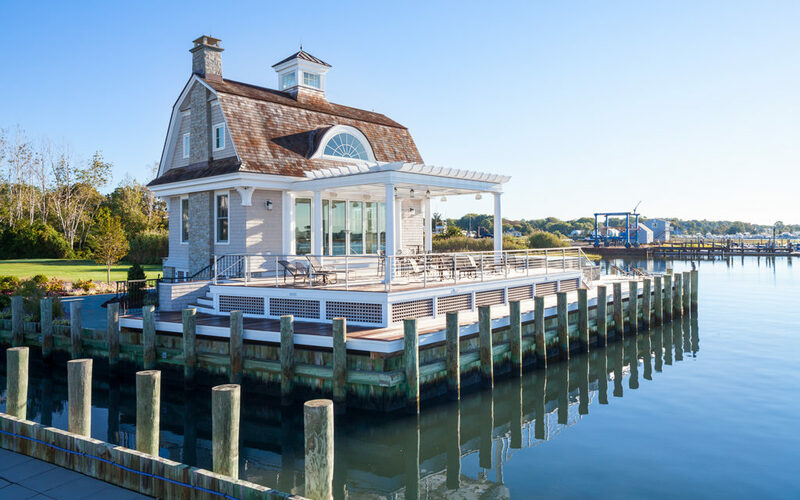 Homeowners with a vision contacted Architect Greg Nucci of Point One Architects to design the second phase of their dream of living on the shore. 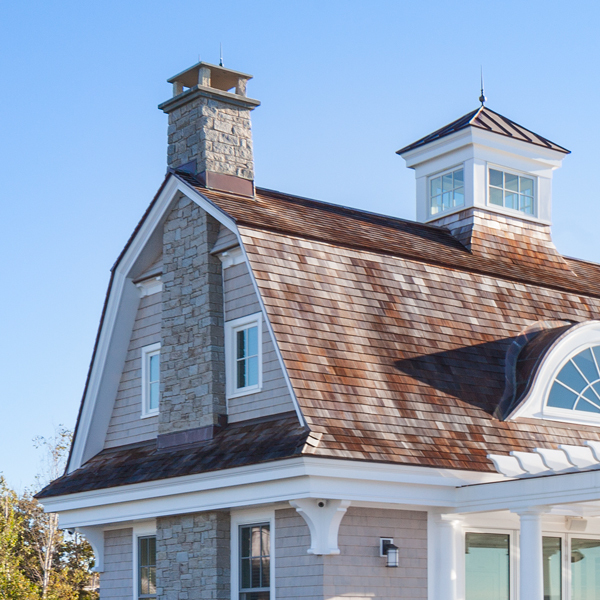 The result – a classic, shingle style entertainment house. 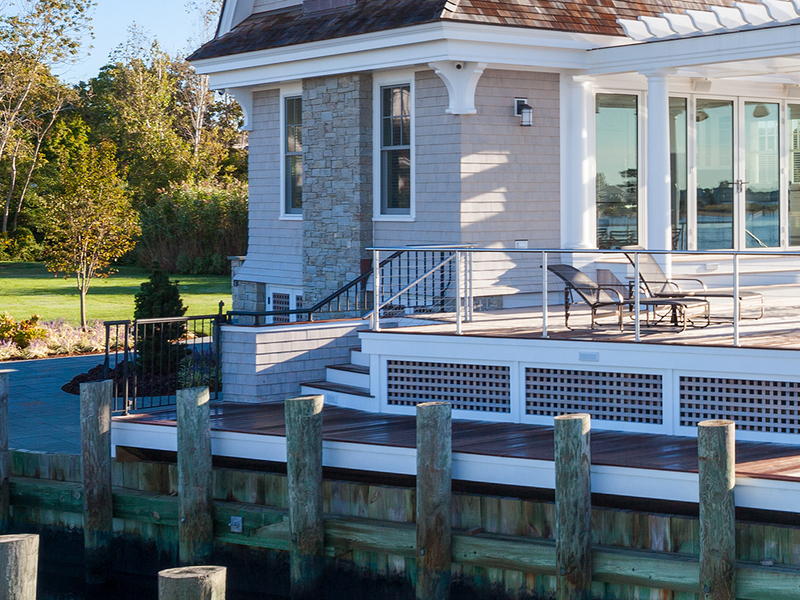 It’s a jewel set gently in a hardworking marina along the Connecticut shoreline. Refinement and grit collide, making for a spectacular design solution. While this party/pool house commands attention, its size is relatively small (well under a 1,000 square feet). 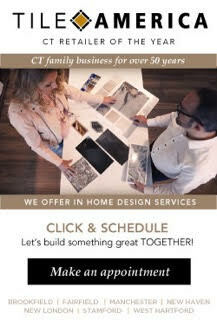 Designers use the tools of the trade, scale and proportion, to ensure that homes have harmony and balance. For instance, the chimney mass, cupola, and windows are all sized appropriately for the small home. 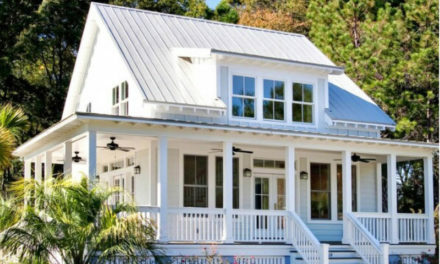 The composition of the elements in relationship to one another gives the classic feeling of a shingle style home. Now, add the detailing of corbels, flairs, eyebrow dormers, and wood shingles, and it all comes together. Overall, the elements work in harmony to create a home with balance. This balance lends a feeling of calm and serenity to the home, exactly what the homeowners wanted. It’s really hard to tell by just looking at it, but this home meets all the requirements of building for hurricanes – high winds and angry crashing waves. Living along the coast comes with its pleasures and challenges. For example, homes need to be constructed responsibly. Upon closer review, it becomes apparent that the home is raised from the ground several feet. This is in response to heights established by FEMA. However, notice how the designer has crafted the platform and exterior living space around the home to disguise this detail. 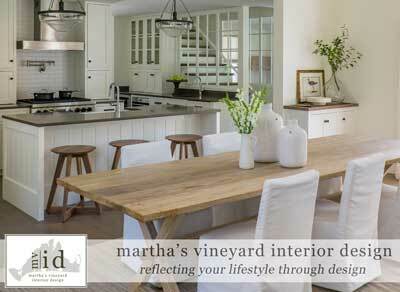 By doing so, it makes the home feel integrated with its site and not detached from it. FEMA, along with the local building codes, requires that homes built within a flood zone be specially constructed to respond to rising waters, crashing wave action, and high winds. 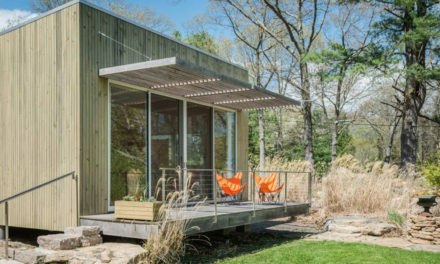 This home is constructed on many wood piles driven into the ground more than 40’ deep. This provides a structural foundation that will not get washed away if, and when, the storm comes. 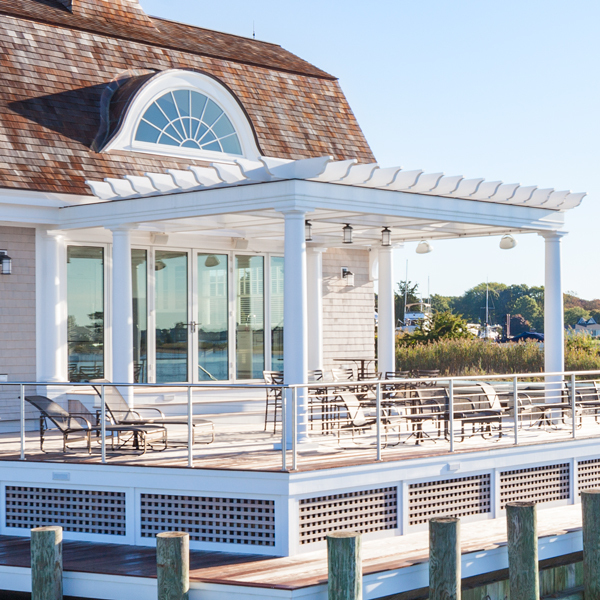 A lot of work goes into the design of coastal homes. Thus, expertise is imperative. The homeowners of this project saw beauty where others did not. The site, a working marina, is home to commercial endeavors such as lobster boats and service repairs. While this might scare some homeowners, this family embraced it. For example, they created a “bulkhead” around the water edge of the property. In most residential situations, stone is used in order to create a more “refined” feeling. However, Nucci, taking cues from the adjacent properties, decided that wood piles and wood slats would give a more authentic feeling, keeping the home tied to its roots. The rhythm of wood piles can be seen reflected in the water as well as by the deck structure and cable railing beyond. As one gets closer to the home, the elements take on a bit more refinement. All in all, a wonderful mix of materials tied together by the cadence of the design. This cottage is built to entertain. The main functions of the structure are as a pool house and as a place to get away. The large Ipe decking is the epicenter of the design. It wraps behind the cottage and ties into the infinity edge pool (not seen in this image). A large, NanaWall door between the deck and cottage can be opened during pleasant weather, allowing the entire space to function as one. The relatively small cottage can handle many people for those special occasions, when desired. A pergola provides just the right amount of shade from the sun, but also acts as the infrastructure for lighting, a sound system, and a spray mister for those really hot days.